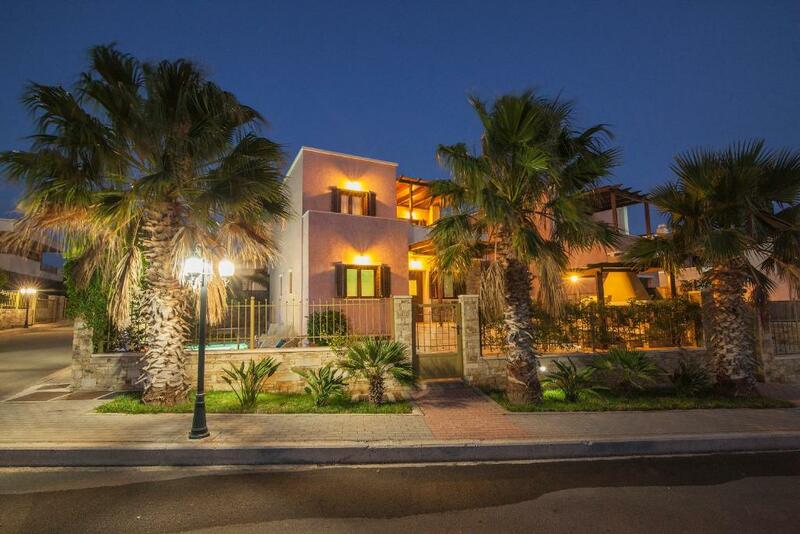 Pearls Of Crete - Holiday Residences is a villa set in Makry Gialos, 37 mi from Ágios Nikólaos. The villa is fitted with air conditioning and free WiFi. Free private parking is available on site. 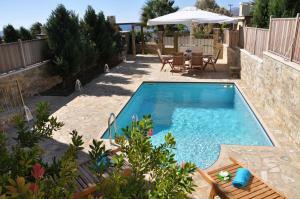 The villa is composed of 4 bedrooms and 4 bathrooms, equipped with bath robes. A dishwasher, an oven and a microwave can be found in the kitchen. A flat-screen TV is featured. Other facilities at Pearls Of Crete - Holiday Residences include a year-round outdoor pool. A restaurant and a mini market can be found 350 feet away, while a pharmacy is at a distance of 1,000 feet. 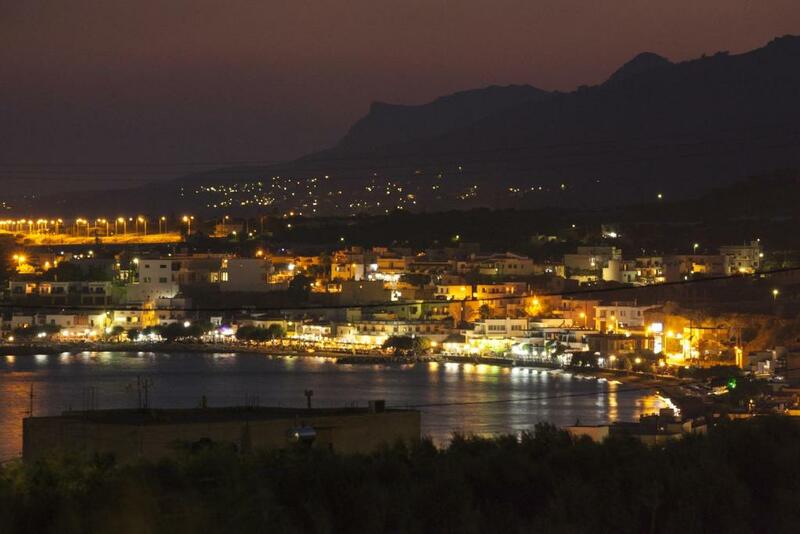 Elounda is 43 mi from Pearls Of Crete - Holiday Residences, while Ierapetra is 14 mi away. 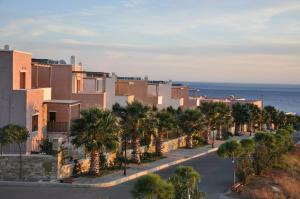 Sitia Public Airport is 14 mi from the property. This is our guests' favorite part of Makry Gialos, according to independent reviews. 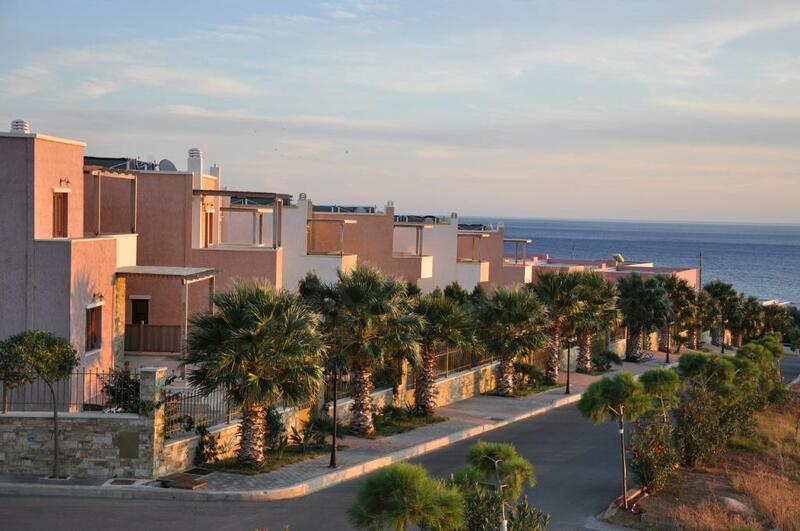 When would you like to stay at Pearls Of Crete - Holiday Residences? 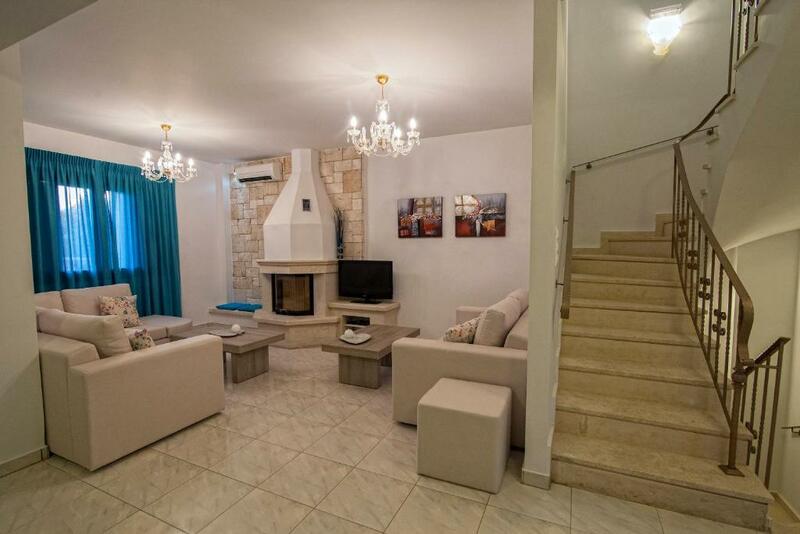 This villa has a balcony, air conditioning and electric kettle. Pearls Of Crete - Holiday Residences is a unique bioclimatic group of residences, which has been build with the most up-to-date construction techniques, ergonomics providing our guests with all comforts. Beach of exceptional beauty, routes through our mountains and forests and unique landscape, several leisure activities compose our area and are able to provide you with a unique staying experience! House Rules Pearls Of Crete - Holiday Residences takes special requests – add in the next step! Pearls Of Crete - Holiday Residences accepts these cards and reserves the right to temporarily hold an amount prior to arrival. 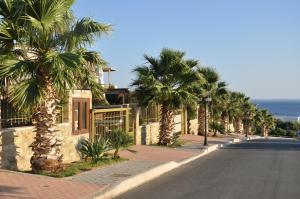 Kindly note that cleaning service in the villa is provided every 3 days, while a daily pool cleaning is available. 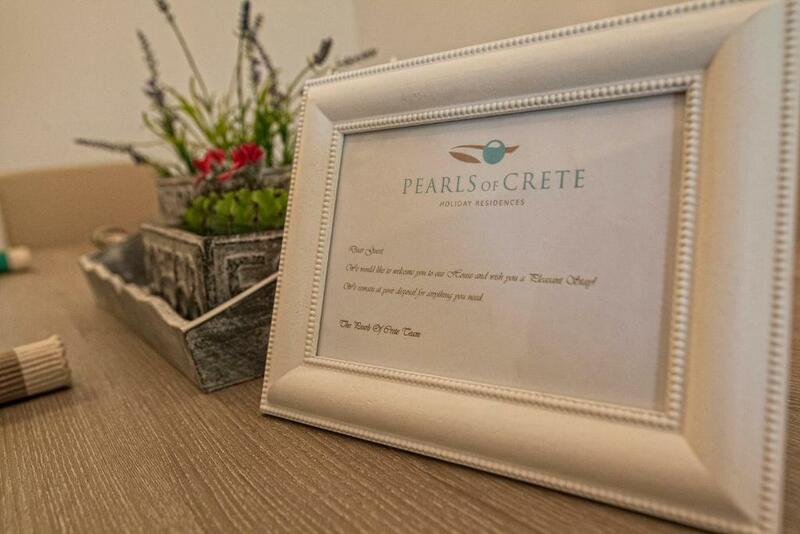 Please inform Pearls Of Crete - Holiday Residences of your expected arrival time in advance. You can use the Special Requests box when booking, or contact the property directly using the contact details in your confirmation. We need at least 5 reviews before we can calculate a review score. If you book and review your stay, you can help Pearls Of Crete - Holiday Residences meet this goal. Our only issue was the location, it's perfect if you want a beach holiday with lots of options for restaurants - our favourite was Golden Beach. However If you would like to do other things ( waterparks, historical sites, museums) they take at least an hour and a half to get too. 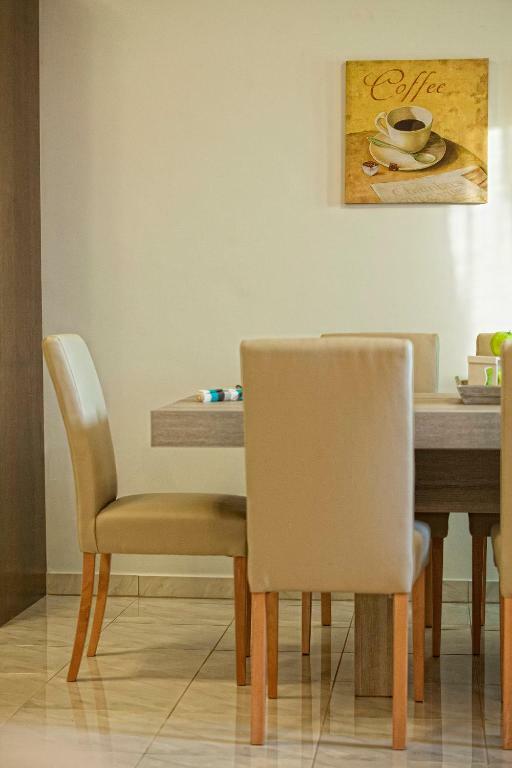 The house was spotlessly clean, our host was there for any questions and there was a lovely welcome basket on the table with beer and soft drinks in the fridge! It was a lovely start to are holiday.